Home A Writer's Life You Should Preorder Rhonda Parrish’s Sirens Anthology Now! 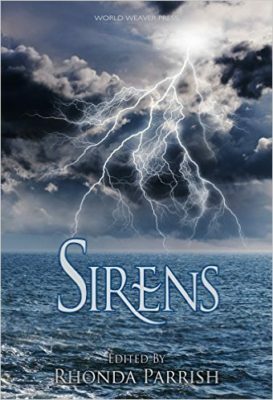 Sirens is yet another strong entry into the Rhonda Parrish’s Magical Menagerie series from World Weaver Press. As I’ve said before, I’m not usually one to read anthologies, but I’ve gotten hooked on Parrish’s carefully shaped anthologies. I’ll try not to spoil any of the stories too much for you as I review this latest installment. As a caveat: I was given a free e-ARC of this book for the purpose of writing this review; all opinions are entirely honest and entirely my own. “Siren Seeking” by Kelly Sandoval plunges us into the world of sirens by asking what a demigod does when she’s done sinking ships. From the clever demigod dating service Elsewhen to the various dates Thelia subjects herself to, it’s a light-hearted story with dark undertones and lovely callbacks to the mythology of the sirens. “The Fisherman and the Golem” by Amanda Kespohl is a touching story of a lonely young fisherman who impulsively buys a golem at the market. The mystery of the golem kept me intrigued, and Ged’s affection for her despite himself is endearing. This is a great addition to the anthology. “We Are Sirens” by L.S. Johnson is written in a seductive, breathless, breath-taking first-person-plural point of view, not the royal we, but the we of five souls that sing in harmony. It tells a story of lust and violence and music, hearkening back to age-old myths as it hurtles forward in the present day. “Moth to an Old Flame” by Pat Flewwelling takes us into London during the Blitz, where one lone siren exists in the maelstrom of world war. Her love for a kind–and deaf–veterinarian inspires Serena to take desperate measures to thwart a god. “The Bounty” by Gabriel F. Cuellar imagines a new place in the modern world for a supernatural being still angry over Odysseus’ escape. Drawing on the mythology of two traditions, the story weaves a tale of hunger and justice. “The Dolphin Riders” by Randall G. Arnold is a fascinating glimpse into an Earth struck by natural disaster, seen through the eyes of Roberto. Only Roberto, of all the school-aged survivors, is willing to venture out onto the sea that so recently ravaged their homes. Only Roberto sees the dolphin riders. A story of two cultures with a long and painful history, it asks what future humans will strive for. “Is This Seat Taken” by Michael Leonberger grabs the reader and drags you deeper and deeper into the mind of a bored, frustrated Washington, D.C., military contract analyst. When he sees a beautiful woman on the Metro, it’s only the beginning of a suffocating journey into nightmarish obsession. The placement of “Nautilus” by V.F. LeSann proves once again Parrish’s skills as an anthologist. Following the subterranean “Is This Seat Taken,” LeSann hurtles us into outer space on a rescue mission. Nautilus is a self-aware, emotionally intelligent research vessel with a human-shaped avatar. Carrying a tiny crew of humans who don’t fully understand Nautilus, the ship ventures through space storms into a nebula in search of a missing fellow research ship. A beautiful look at desire, longing, and artificial intelligence, “Nautilus” ended up being one of my favorite stories in the anthology. Simon Kewin takes us back to space, where a woman seeks healing from a failed relationship in “Safe Waters.” At Atlantis Resort, humans can have their consciousness implanted in artificial bodies–whales, seahorses, even mermaids. But are the waters really as safe as the resort promises? I must admit, “Notefisher” by Cat McDonald is not my usual kind of fare. There’s an Alice-in-Wonderland feel to the story, blurring the lines between illusion and reality as the narrator attends a music and art festival, aimlessly wandering through his days and spending the nights with drug-induced hallucinations. The themes of creativity and hope carry the reader through the story, juxtaposed beautifully with fear and depression. “Experience” by Sandra Wickham takes us to a modern-day siren who has chosen a life as house entertainment on a cruise ship. 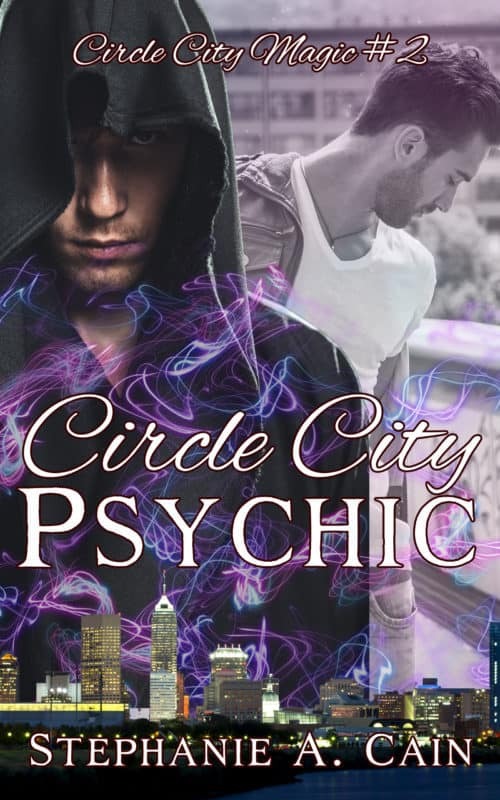 But when old responsibilities come knocking and deliver an ultimatum–serve the Goddess or lose your powers–she must find a way to balance her past with her future. “Threshold” by K.T. Ivanrest takes the concept of deadly sirens luring men to their death and turns it neatly on its head. The terrifying Between, creatures whose attacks are preceded by alluring songs of courage and battle, are a threat to humankind. Navrin is about to make his first Between kill, which will mark him as a man. But the kill goes terribly wrong, and his five-year-old sister is lost across the threshold of their realm and another. Navrin and his step-brother must journey across the border, and they will face tests and learn secrets that might just repair their broken relationship. “The Fisherman’s Catch” by Adam L. Bealby takes us into a gruesome game of oneupsmanship, as two fishermen constantly try to outdo each other. Written in an engaging first-person voice, it made me shudder. “One More Song” by Eliza Chan is a gorgeous fantasy/noir story about Mira, a siren PI in a semi-submerged alternate world where sea people are “out” to humanity. It has such a great blend of complex world-building and subtle social commentary that I found myself hoping there are more stories set in this world. From kappas to water dragons, from sirens to sleazy businessmen, this story is full of three-dimensional characters, so I’m sure there are more stories just waiting to be told. And as a fitting ending to the collection, “Homecoming” by Tabitha Lord takes us back to the mythical days of Penelope and Odysseus and Kalypso, giving the old story of the faithful wife a delicious new twist. 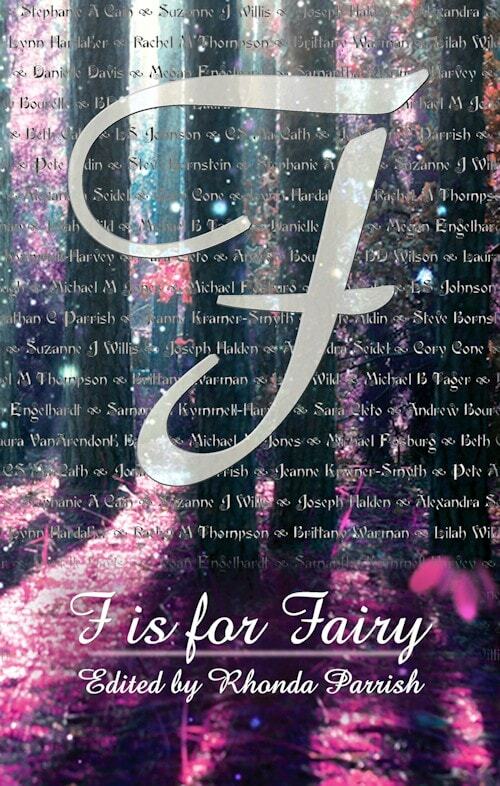 This is the fifth of Rhonda Parrish’s anthologies I’ve reviewed, and the fourth in her Magical Menageries stories. If all anthologies were so well-curated and themed, I would read a lot more short fiction. As it is, I’ve reached the point where I will happily plunk down my money for anything Parrish edits. In short, go out right now and pre-order Sirens! book recs, books I've read, Rhonda Parrish, Rhonda Parrish's Magical Menageries. Bookmark. Thanks for the kind words! Your synopsis of The Dolphin Riders is better than the one I’ve been using (so I’m cribbing).